Now, notice the related tweets alongside this article. The ideas these tweets highlight, coupled with the significant level of signups, will make for a challenging political climate in these early months post-presidential election. Clearly our nation has at least two very distinct opinions about the Affordable Care Act. On Wednesday, CMS's Week 5/6 Snapshot report confirmed 4,015,709 QHP selections via the federal exchange (HC.gov), but also noted that "over 700,000" additional ACA enrollments came in on Monday and Tuesday. 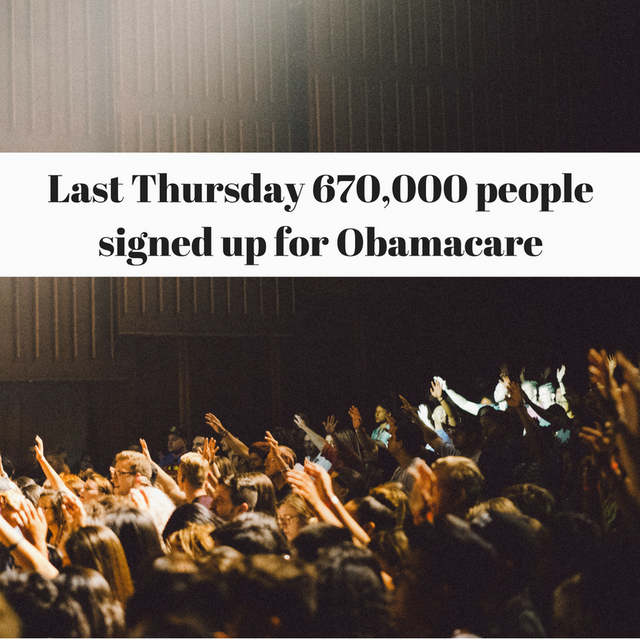 About an hour ago, President Obama confirmed a 1-day record-breaking 670,000 people signed up yesterday alone.